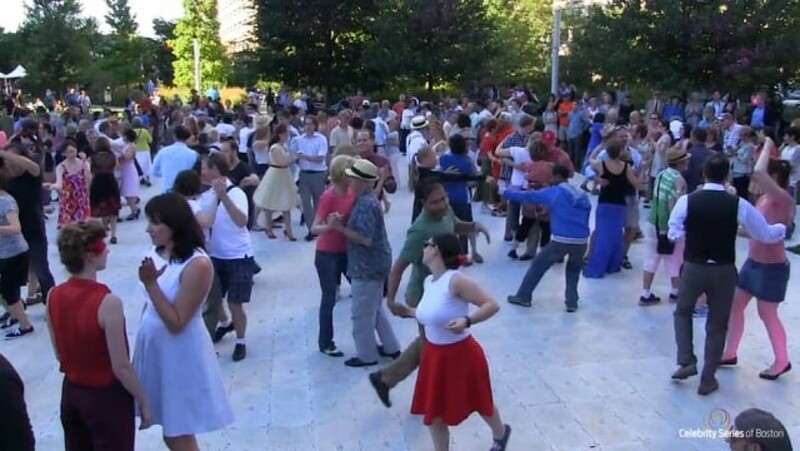 Celebrity Series of Boston will present Let’s Dance Boston, one of the largest, free outdoor dance and music parties that Boston has ever experienced! 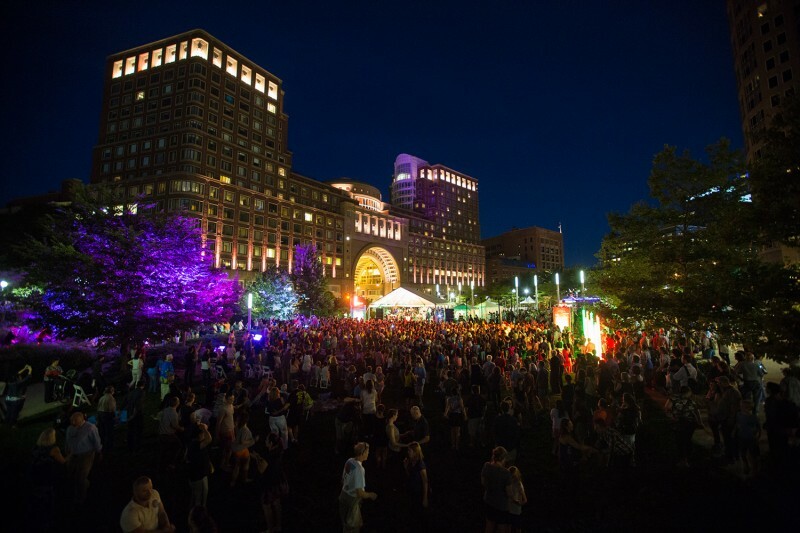 Located on the Rose Kennedy Greenway September 16-20, 2015, Let’s Dance Boston will feature five consecutive nights of electrifying music and dance. Each evening features a different style of dance with free lessons, open dancing, and a live band. The 45-minute free dance lessons will be taught by professional dance teachers and will take place on a specially installed dance floor on the lawn at Atlantic Avenue and High Street of The Greenway’s Wharf District Park. After the 45-minute dance lessons, the bands will perform for 90 minutes to continue the party with open dancing. This kickoff year includes Latin, Swing, and Disco. Everyone is invited to participate in this free and fun dance party! Come solo or with your friends or family — everyone is invited to learn and participate! There’s plenty of space on the lawn, so bring a picnic or visit one of the local Boston food trucks set up next to the dance floor!